Terra Blanca Winery and Estate Vineyards was established in 1993. The winery is owned by Keith and ReNae Pilgrim. Keith serves as winemaker. Located on Red Mountain, Terra Blanca gets its name from the high levels of chalk in the soils of its estate vineyard. The vineyard, which surrounds the winery, is spread over three hundred acres, eighty of which are currently planted. Terra Blanca uses its Red Mountain estate vineyard for most of its red wines (Malbec is the exception). Grapes for many of the winery’s white wines come from elsewhere in the Yakima Valley. Terra Blanca is large by Washington standards, producing 35,000 cases annually. 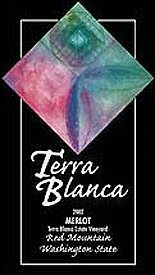 While Terra Blanca is a long-established winery, it continues to change and experiment. This includes changes to both what is on the outside of the bottle as well as what is on the inside. The winery recently undertook a significant label change. To do so, the winery had students at Seattle University conduct a brand audit. The feedback was that the old labels looked dark and dated. 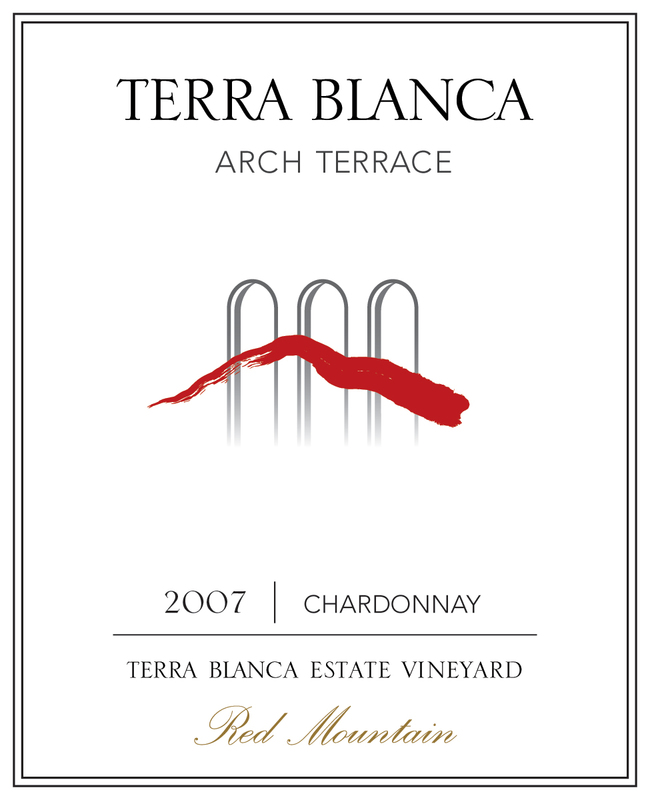 To design the new label, Terra Blanca went with a brighter, cleaner look that incorporated elements of the winery building. 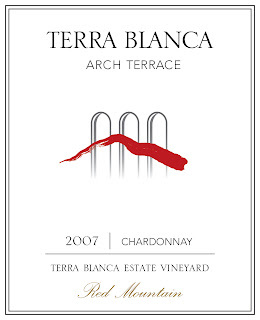 The iconic arch terrace at the entrance of the winery now appears on the label. In working on the label design, Terra Blanca also solicited feedback from Facebook fan members. The rebranding is still in the early phases and will continue to roll out over the next two years to include the entire portfolio. Change is never easy. Keith Pilgrim says the most difficult part of the rebranding was changing the sky blue capsules on the bottles. Many loved how eye catching the capsules were on the shelves. Others agreed that they were eye catching - but not in a good way. The potential change stirred up such strong passions that there was a running joke that surplus blue capsules would be given away as ‘collectors items’ to winery staff and wine club members. After conducting a series of experiments where people evaluated the price of the bottle based on the color of the capsule, the Pilgrims decided to make the change. Among the recent experiments, this year the winery will release varietal bottlings of Cabernet Franc and Petit Verdot. Pilgrim says after many years, he is finally getting the “concentration and depth” he was looking for in these wines. Pilgrim is also making a southern Rhone-style blend, expected to be released late in the year, using four different clones of Syrah. Rating: + (Good) Color shows a bit of age. A pleasing nose marked by light dust, abundant cherries, licorice, cedar, red vines, and currant. Light and fruit filled on an enjoyable palate. Comes off as a bit tart at times. 100% Merlot. Aged twenty months in French oak (43% new). 13.5% alcohol. 1,528 cases produced. Rating: + (Good) Fairly light in color. An aromatic wine with cedar, cherry, and very light chocolate. Nose shows a bit of alcohol. Palate is dry with supple tannins and abundant red fruit flavors. Aged thirty-two months in French oak (35% new). 100% Merlot. 13.5% alcohol. 491 cases produced. Rating: + (Good) Nose is marked by bittersweet chocolate, black cherries, and light herbal notes. Dry and tart on the palate with supple tannins. Made in a dry, somewhat Old World style with less fruit and more structure. 100% Cabernet Sauvignon. Aged thirty-two months in French oak (50% new). 13.5% alcohol. 485 cases produced. Rating: . (Decent) An appealing, very varietal nose with plum, spice, and some slightly green elements. Taste is tart and dry with racy acidity. Has a few dips and wants a bit of a lift in the mid-palate on this otherwise enjoyable wine. 100% Malbec. Aged for ten months in French oak. 13.5% alcohol. Rating: . (Decent) Pale lemon yellow. A moderately aromatic nose with straw, apple, and light oak spices. Palate is enjoyable with grass and spice. A slight bit of sharpness in the mid-palate is all that holds this wine back. 100% Chardonnay. Aged in French oak (36%) and stainless steel. 13.5% alcohol. 1,131 cases produced. Terra Blanca was one of the first Washington wineries that captured our attention about 15 years ago. I really liked the Arch Terrace Merlot when I had it at TasteWA but I didn't pick up any of the tartness that you mention. Maybe it was because I had paired it with Gordon Biersch Lobster Bisque? Bean, indeed the Terra Blanca was one of the first Washington wineries that came to my attention as well. The Merlot, listed at $20 but frequently on sale, is always a high QPR wine. Thanks for the comment.